Down a corridor from the Royal Academy’s gift shop is the Reynolds Room, the triple-cubed ballroom where Charles Darwin gave the first lecture of On the Origin of the Species. 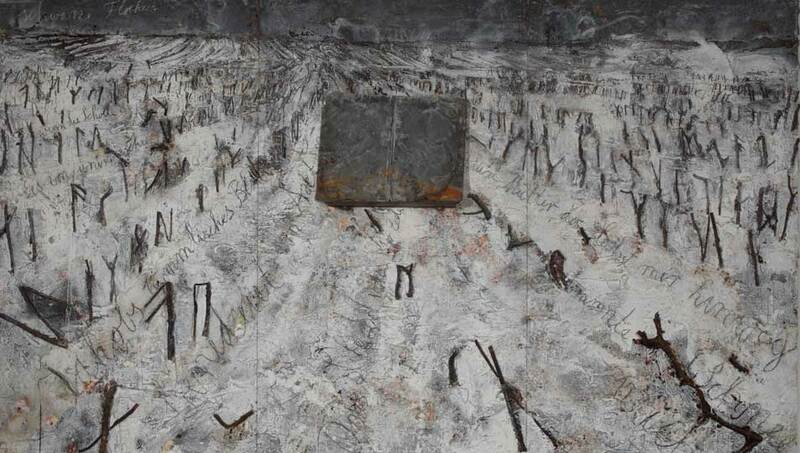 Anselm Kiefer sits near the door, watching members of the press scrawling down his every phrase. It seems unlikely that even Darwin himself, resurrected, could excite an atmosphere of such reverence. This is perhaps unsurprising; no successful artist admits to nostalgic tendencies. On the other hand, one could argue that Kiefer has been looking backwards ever since the 1960s. His work is overtly concerned with history, and more specifically, that of his country’s darkest chapter. 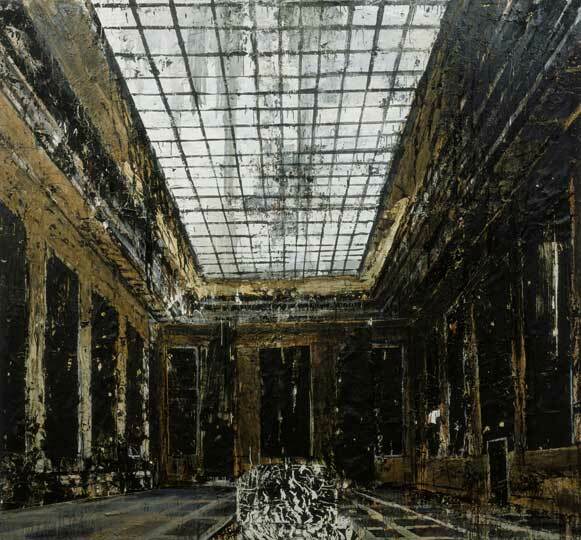 At a time when war criminals still held public office in the Bonn Republic, Kiefer and his contemporaries Georg Baselitz and Gerhard Richter were among very few Germans who dared to address the latent trauma of the Nazi era. Kiefer, then, is more than just a great artist: he’s a keeper of national conscience. Given this status, it feels odd that this retrospective has taken so long to materialise. There is consequently a lot of ground to cover; we’re promised a lot of material atypical of what we think of Kiefer’s style, including many of his early watercolours. 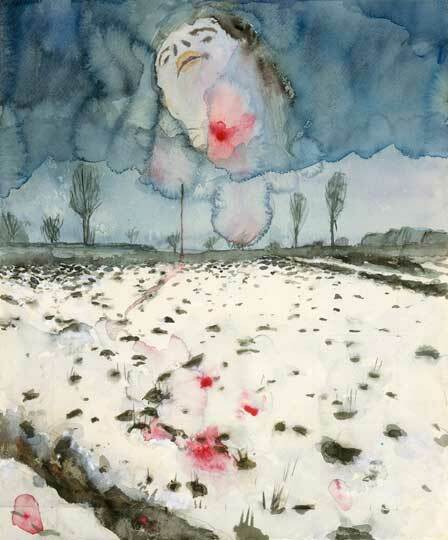 Despite looking about as far from, say, Interiors, his iconic 1980s paintings of rooms in Albert Speer’s now-demolished government buildings, they still display the odd recurring theme; forests, something of an obsession for the artist (‘a place of sanctuary for the Germans’), loom large on the horizon in work from his 1970 watercolour Winterlandschaft (‘Winter Landscape’) to recent oils like Winterwald from 2010. A similar hallmark is his use and depiction of lead, which he describes as ‘the only material heavy enough to carry the weight of human history’. In a painting like Schwarze Flocker (‘Black Flakes’), it is monolithic, imposing – a terrifying, draining totem at the centre of the canvas. New paintings are promised for the exhibition, as well as a huge installation in the Academy’s courtyard. This last, of which no details have yet been released, promises much; Kiefer’s last project in the space, 2007’s Jericho, was one of his most astonishing works to date. There is a reason Kiefer is so venerated. Make no mistake – this is almost certain to be one of the most important modern art exhibitions of the decade.